Pioneers in the industry, we offer disposable surgical gown, hospital bed sheet, lab coat and laboratory coats from India. We offer Disposable Surgeon Gowns to our clients. Our range is acknowledged by our clients as these are comfortable to wear and have elastic cuffs for better movement. The gowns are comfortable due to their generous sizing and soft comfortable material from which they are made. They are used in following applications. 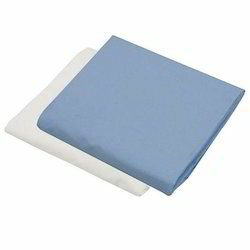 Our Hospital Bed Sheet is made from soft fabric that provides comfort to the patient. The Hospital Linen can be availed from us to make different furnishing items. We provide the Hospital Linen at very reasonable price. We bring forth to our customers this range of exclusive Lab Coat. The offered coats range is applicable in various laboratory works. This coat has been made from high quality fabric and has been given a perfect stitch for comfort wearing. We have designed these coats for letting the students carry out experiments safely and keeping this body parts safe. These coats are available with us in various designs and sizes. In this whole range we offer Medical Lab Coats and School Lab Coats. 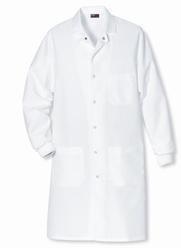 Laboratory Coats We also offer Laboratory Coat to our clients. We are providing different sizes like small, medium and large based on customer requirement and also we are manufacturing non woven tailored items can be designed and manufactured as per the clients specifications. We also provide disposable lab shirt (Apron) and pant.